in Worked in the round in Desert Star color work pattern and measured after wet blocking. 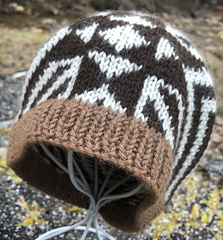 Pattern is written for two sizes: S/M (M/L); to fit a 21 (23)” / 53.5 (58.5) cm head. 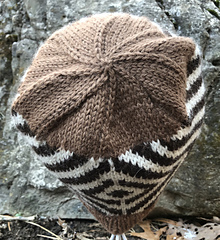 Pattern is written for two sizes: S/M (M/L); to fit a 21 (23)” / 53.5 (58.5) cm head. 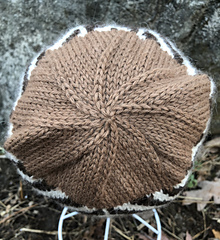 Please note that because 100% alpaca yarn is so stretchy, this hat is designed to be worn with 2.5” / 6.5 cm negative ease. 7.75 (8.5)” / 19.5 (21.5) cm hat height. 24 sts and 27 rnds = 4” / 10 cm on larger needles, worked in the rnd in Desert Star color work pattern and measured after wet blocking. 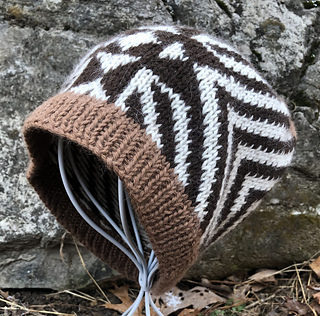 You’ll need approximately 132 (175.5) yards / 121 (160.5) meters of 100% alpaca DK/light worsted weight yarn in three colors. Bullrush #03 ~ 49.5 (65.75) yds / 45 (60) m.
One set 6 US / 4 mm needles (or size to obtain gauge in Desert Star color work pattern). One set 5 US / 3.75 mm needles (or one size smaller than needed for gauge). Use a set of DPNs, two circular needles, or one 16” / 40 cm long circular needle, according to your preferences for knitting in the round. a yarn needle, and 8 st markers (1 unique, 7 matching). 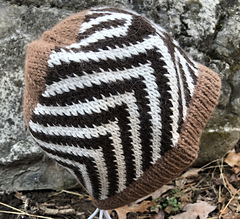 Pattern instructions are written and include common stitch abbreviations and a color work chart. 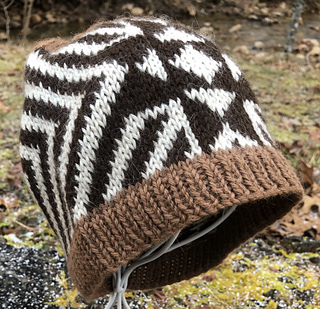 Techniques to indulge in: Knitting in the round, and stranded color work!